"Thrift is sometimes taken to be the most obvious and boring of the virtues. But that is only because we rarely stop to think about it, or are content to honor it-if we honor it at all-with words rather than deeds. These fascinating essays should challenge such complacency. They have the same effect on the reader that Socrates' relentless inquiries had on his interlocutors: they overturn all unreflective notions about thrift, and demonstrate that its meaning for us is inseparable from what we believe about the proper ends of human existence." "Why people save, and how much, and when, is a subject of continuing importance to economists, and it is getting more so over time as many countries' populations are aging. Not surprisingly, others have important insights on these questions as well. This new volume brings together scholars from a variety of disciplines, including eminent historians such as Joyce Appleby and Daniel Walker Howe, to share their insights on "thrift" in a specifically American setting. Reading these essays will usefully broaden the perspective of anyone interested in saving behavior." -Benjamin M. Friedman, William Joseph Maier Professor of Political Economy, Harvard University, author of "The Moral Consequences of Economic Growth"
Until recently, the word "thrift" had largely disappeared from the active vocabulary of most Americans. Like chastity and temperance, thrift was well on its way to becoming a virtue relic of a bygone era. Yet just when the word itself seemed on the verge of passing out of use for good, people have suddenly, if a bit uncertainly, begun to reinvoke it. Books are being published for and against thrift by leading academic presses, economists are revisiting and revising the "paradox of thrift," foundations and policy think tanks are promoting "thrifty" fiscal policies, and there are even civil society groups interested in recreating the National Thrift Movement of the 1920s. The return of thrift is not wholly unexpected. Whatever else one makes of it, thrift is a virtue of necessity and one that the Great Recession and its aftermath have forced back into the consciousness of Americans, both as a way of diagnosing the causes of our economic troubles and as a prescription for their solution. The trouble with this renewed interest, however, is that it fundamentally misunderstands the true import of thrift. For those to whom thrift is more than a synonym for second-hand clothing shops, it tends to call to mind the practice of scrimping and saving, of financial frugality. While this has long been the commonsense notion of thrift (and while America could doubtless use a good does of frugality) this particular connotation turns out neither to be the only or even the most important notion of thrift in American history, nor is it sufficient to unlock the deeper promise of thrift for the present. One has to examine thrift in light of its distinctive etymology to see this promise. It turns out that thrift originally referred to the condition of thriving. Throughout its history, thriving has been the subtext of thrift-and at times has even been used to critique the more narrowly conceived applications of thrift as frugality. It is in this connection that we glimpse thrift's true potential and imaginative power, for it moves thrift beyond the instrumentalities of "more or less" and raises fundamental questions about the ends of economic life: more or less of what and for what purpose? In short, thrift brings us face-to-face with the most fundamental economic question for any society: what does it mean and take to thrive? With this question in mind, we can see the evolving cultural history of American economic life in a whole new light: in one era after another, the fundamental purposes of economic life have been defined by prevailing visions of human flourishing-or thriving-accompanied by the exhortation of particular practices and habits of wise use and stewardship-or thrift-that were thought necessary for achieving prevailing visions of human flourishing. For example, the Puritan understanding of thrift and thriving motivated individuals to pursue the pious management of time and talents and to accumulate wealth as a spiritual calling for whole communities, not reducible to private, individual interest. Puritan thrift sought to establish an exemplary earthly commonwealth-the famous "city on the hill"-and thus inspired a powerful combination of individual moral striving, mutual aid, and social reform as a response to divine grace. Yet, without thrift in the soul, there could not be thriving in either this life or the next. The Puritan moral order would eventually give way to the moral order of the Victorians in response to cultural changes associated with the emergence of commercial capitalism. Accordingly, the meaning of thrift shifted from the all-encompassing but thoroughly spiritualized condition of thriving, to one focused on material well-being and individual frugality. This was the birth of the classic sense of thrift epitomized by Ben Franklin's famous maxims, "time is money" and "a penny saved is a penny earned." In the Victorian era, thriving was primarily located in individual and family life as a reflection of financial security, middle class respectability, and diligent philanthropy. Thrift became, in the historian Lendol Calder's words, the art of "coaxing wealth from scarcity." In time, this vision of thrift and thriving was supplemented by yet newer visions-by the rise of Progressive thrift in the early twentieth century as a response to the enormous social dislocations that occasioned the transition to industrial capitalism. Progressive thrift contained two principle preoccupations. First, it embodied a concern for the collective welfare of citizens for whom the private, individualistic formulation of Victorian thrift was seen to be no longer sufficient in the face of extreme cycles of economic boom and bust, not to mention the disturbances of world war. In response, the Progressive thrift ethic championed an array of collective thrift institutions, policies, and practices, from government and corporate sponsored welfare to the civic obligations of rationing and buying war bonds. At the same time, Progressive thrift captured both highly trained forms of managerial discipline that were emerging on the factory floor and the powerful inducements for mass consumption epitomized by the installment plan. Counterintuitive, perhaps contradictory in the view of proceeding ethics, with their common preoccupation on work and saving, Progressive thrift was understood by many not as the end of thrift, but as its reformulation for a managerial and consumer age. In the closing decades of the twentieth century, a new and comparatively more radical ethical sensibility emerged, both challenging and embracing aspects of the thrift ethics that proceeded it. It is epitomized by a distinct character type: the proper subjects of "free markets" are "free-agents"-individuals who are oriented to material security, but also to self-actualizing through work, consumption, and social commitment. On the positive side, this ethic combines a vision of expressive consumption with a work ethic that privileges authenticity, mobility, and autonomy as much as industrious time management. It also connects long-standing concerns with gentility and self-cultivation to concerns with tolerance and equality. Yet like all ethics before it, the Free-Agent ethic of thrift has its downsides: even in good economic times many Americans are unable to meet the demands of free agency. Such agency is empowering, even exhilarating, if you are one of the meritocratic professionals who can move easily from one job to another in the global economy, but distressing, often painful, if you are not. As importantly, Free-Agent thrift is devoid of any robust conception of the commonweal, and its perceived materialism, riskiness, and inequity has inspired a diverse array of protests, and in some cases, alternative thrift ethics-from the Eco-thrift of environmentalists, to the simple life ethic promoted by certain religious groups, to the civic republican ethic of communitarians, to the social justice concerns of the Occupy Wall St. movement. These are divergent and internally diverse movements, but taken as a whole they represent a growing and widespread concern that what it means and takes to thrive in the era of free agency is proving unsustainable. 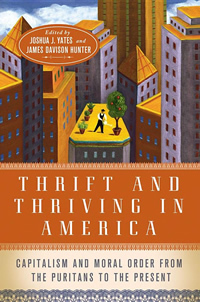 As these brief summaries suggest, Americans have had to periodically reassess and re-envision what the connection between thrift and thriving should be in light of changing moral outlooks and changing social conditions. It also suggests that we are in just such a moment today, raising crucial questions about how contemporary Americans will come to define thriving in the years ahead and whether some notion of thrift will once again be at the heart of the answer. If it is to be part of the answer, however, it will not come by simply by exhorting people to be more (or less) frugal as the recent literature on thrift tends to do. The answer will not be found in recovering any one version of past thrift ethics, but instead by learning from each of their highest aspirations-that is, the ultimate ends to which they point--in addition to acknowledging their respective deficits. We can learn much, for instance, from Puritan thrift's concern with the common good and with ends that transcend private material (even worldly) well-being and Victorian thrift's emphasis on individual responsibility, delayed gratification, and benevolence. We can learn from Progressive thrift's concern with virtuous consumption and championing of mutual obligation, social justice and civic virtue. We can learn even from Free-Agent thrift's celebration of self-expression, autonomy and mobility. But we will also need to take heed of the array of alternative ethics that have emerged in reaction to the deficiencies of free agency. The promise of thrift, in short, is not found in renewing any one version of thrift, but in understanding that thrift provides a native language that can help Americans renew their understanding and commitment to what it means and takes to thrive in the present. To be sure, because of our enormous problems, including a ten-figure deficit, prolonged unemployment, shrinking middle class, and extreme political polarization in the years ahead, frugality will once again become a virtue of necessity for many financial strapped, jobless Americans who have fewer prospects for a better future. But this new era of forced sobriety and reflection presents Americans with an opportunity to think afresh about the moral purposes of their economy, and we believe that understanding the historic connection between thrift and thriving can play a vital role in resourcing such an effort. Again, paying attention to this connection focuses attention on the ends of economic life, helping resist the reduction of the economy to its purely technical and mechanistic dimensions. Consideration of ends, moreover, holds forth the possibility of meaningful debate and disagreement because it can clarify genuine differences on the most important matters. At the same time, it could potentially illuminate points of common concern and agreement that would otherwise go unrecognized and therefore unrealized. Of course rediscovering the connection between thrift and thriving is only the beginning. 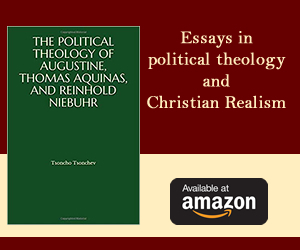 Unless it is accompanied by an institutional framework that supports new ways of conceiving and practicing economic life, talk of thrift and thriving will likely lapse into platitude, or worse, shrill moralism. Until the hard work of conceptual, ethical, and institutional reconstruction begins, the promise of thrift will remain only a promissory note we hold unpaid against an otherwise severely mortgaged future. Still, the promise of thrift is real and offers conceptual and ethical resources for renewing a common language by which we can talk together in the face of our many dilemmas and political disagreements about the nature of a prosperous, just, sustainable, and humane economy. Joshua J. Yates is a Research Assistant Professor of Sociology at the University of Virginia and Director of the Program on Culture, Capitalism, and Global Change at the Institute of Advanced Studies in Culture.